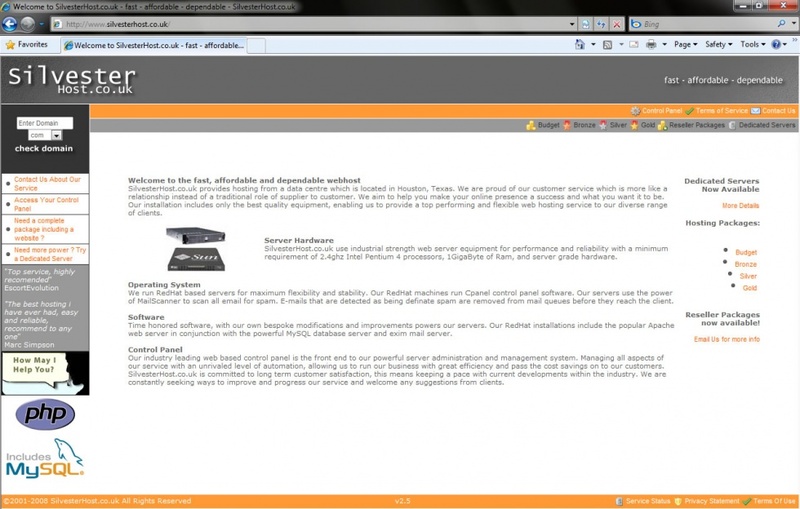 This website was produced for our parent company SilvesterHost.co.uk. A new site is under considerable development which is designed to automate many current manual tasks. Many new techniques are being trialed in the new site.